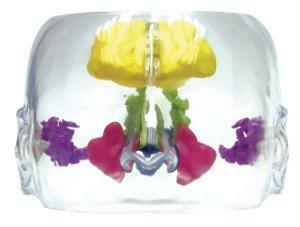 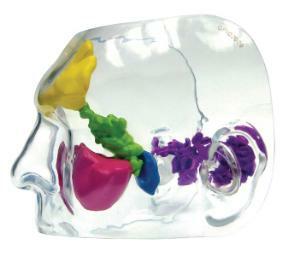 This transparent, semi-circular facial model gives students a unique 3D view of the Para nasal and Mastoid sinus cavities from all angles of the head. 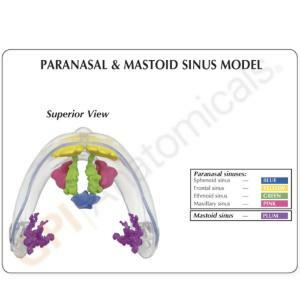 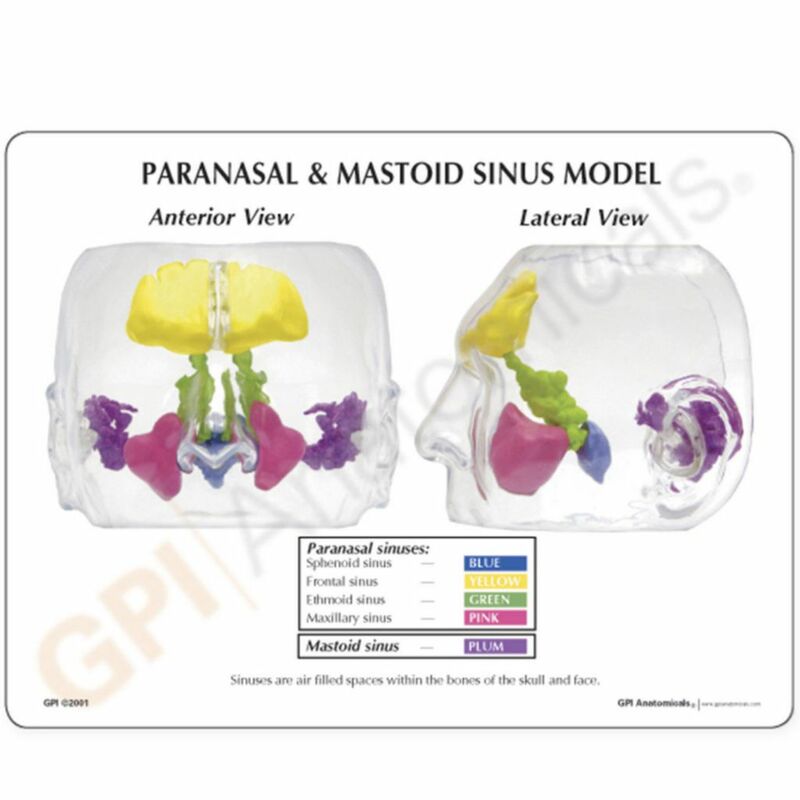 Brightly-colored sinus cavities including the Sphenoid, Frontal, Ethmoid, and Maxillary sinuses are easy to identify and located in their anatomically-correct positions. 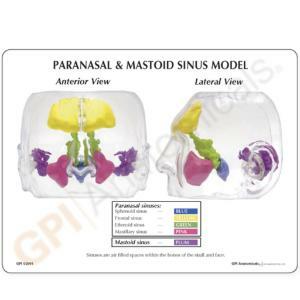 Simple, yet visually-stunning, this model makes it easy to demonstrate and describe sinus conditions in the classroom, and also includes a reference card that describes each sinus cavity in greater detail.